The rise of Big Data has handed over to governments and corporate interests far more power than they have had in the past. For corporations it’s become a regular cottage industry, estimated to rake in $50.1 billion per year by 2017. The sensible tactic to combat this de facto surveillance and selling of the citzenry is to turn data against itself. Data are more than brass tacks. They can and ought to provide journalists with a basis for stories. Data-based stories have been around since at least the middle of the 19th Century. The difference now is that the amount of data freely available, combined with the vast number of free software tools to process data, has created extraordinary opportunities not just for professional journalists, but also citizen journalists to tell stories and bring trust and credibility back to the field in these days of BuzzedFed and Throw-Upworthy. 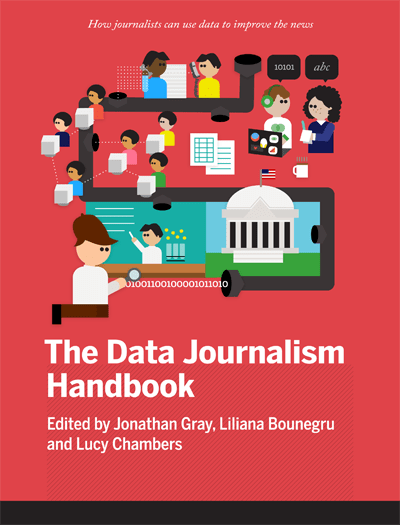 The Data Journalism Handbook is a guide to do just that. Born at a 48 hour workshop at MozFest 2011 in London, it soon became a collaborative effort involving dozens of data journalism’s leading advocates and best practitioners from around the world.